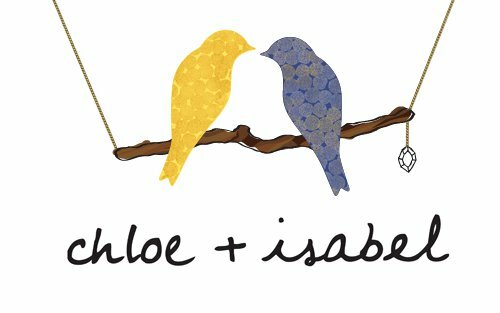 Visit my online Chloe + Isabel boutique where you can shop for Chloe + Isabel jewelry, find news and more information about this awesome new start-up! Founded in 2011, Chloe + Isabel is a dynamic and socially innovative jewelry brand designed to connect women through a modern-day social-shopping experience. A destination for fashion-loving, creative and confident women, Chloe + Isabel believes that today’s women deserve jewelry as exceptional as they are. • Chloe + Isabel jewelry is hand-crafted, nickel-free, hypo-allergenic, and lead safe. • The jewelry also includes surgical steel posts on earrings, 2” extenders on necklaces, signature c+i closures. • Chloe + Isabel offers a lifetime replacement guarantee on all jewelry along with a 30-day money back guarantee. Also, take a look at my Chloe + Isabel by Megan Murphy Facebook page for more photos and fun.